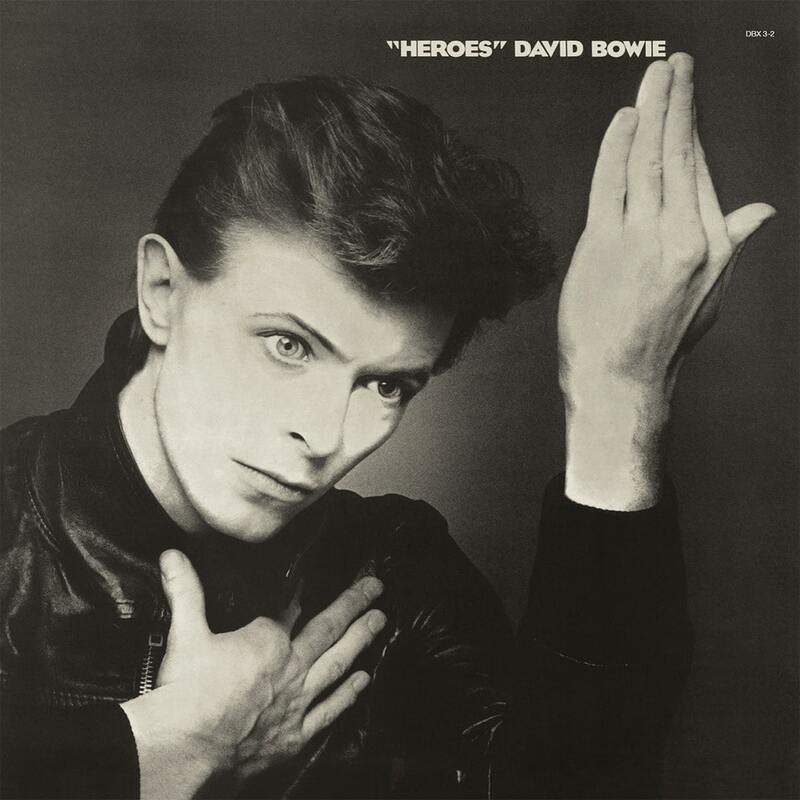 "Heroes" is the 12th studio album by English musician David Bowie, released on RCA Records on 14 October 1977. The second installment of his Berlin Trilogy recorded with Brian Eno and Tony Visconti, "Heroes" continued the ambient experiments of Bowie's previous album Low (released earlier that year) and featured the contributions of King Crimson guitarist Robert Fripp. Of the three albums, it was the only one wholly recorded in Berlin. The title track remains one of Bowie's best known and acclaimed songs. The 2017 remaster was undertaken in conjunction with the anthology release of A New Career In A New Town (1977 - 1982), which includes "Heroes" alongside the rest of the Berlin Trilogy and several other releases. The remaster was overseen by original producer Tony Visconti.